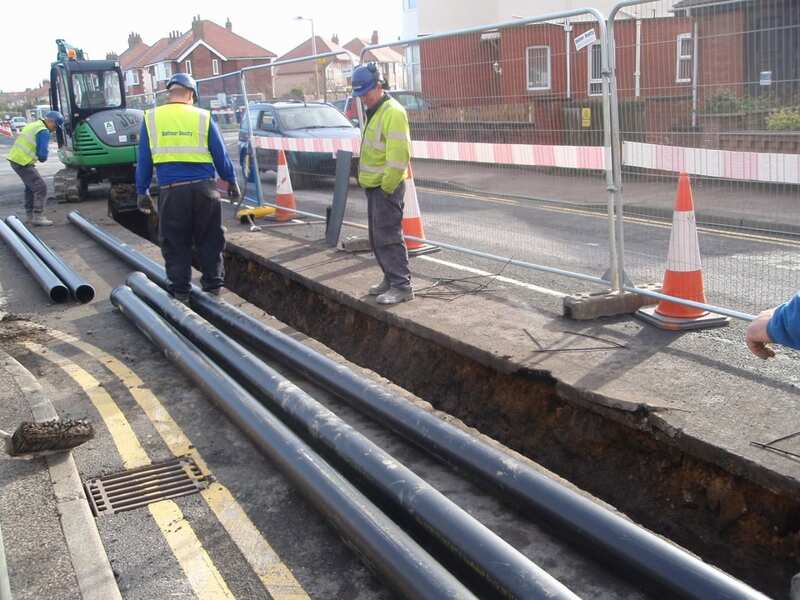 The length of the onshore cable route is 5km, split into seven x 75m sections. 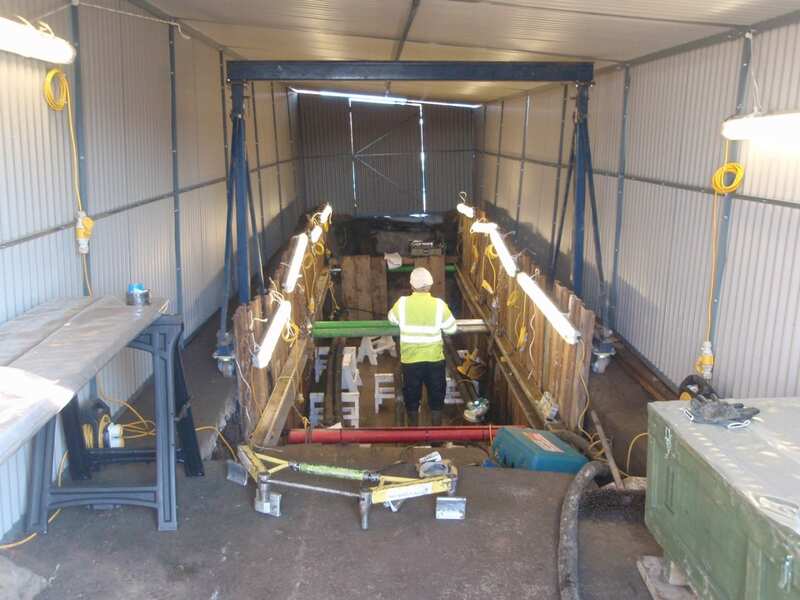 The majority of the cable was laid in an open cut trench, approximately 800mm wide x 1.4m deep, with seven, equally spaced larger excavations where the lengths of cable were joined. 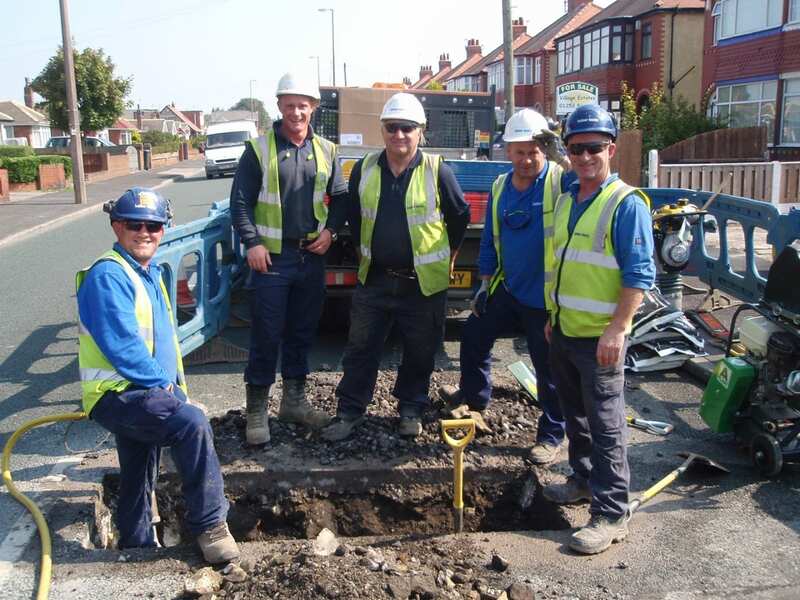 There were four teams of workmen, each team working in a different area along the route. 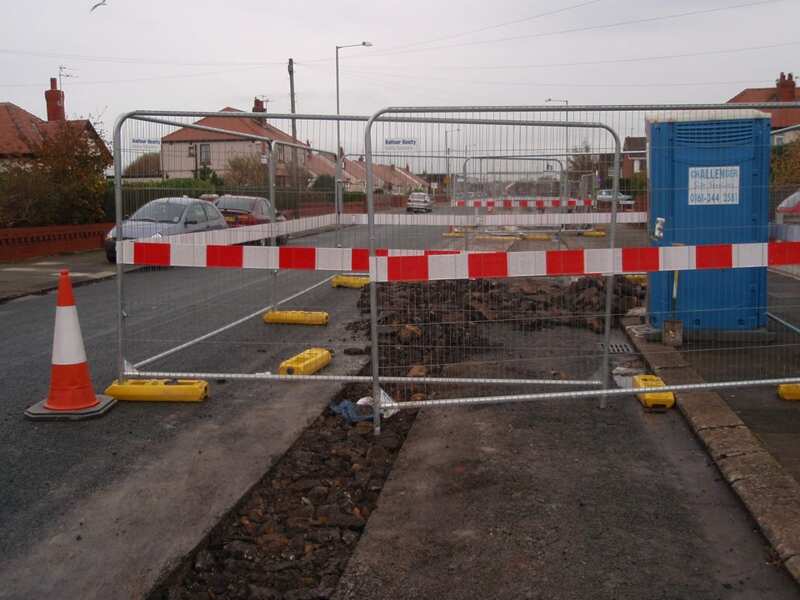 The trenches were barriered off and kept safe, and ‘Courtesy Boards’ were installed around the excavation with the contact details in the event that there were problems in your area. 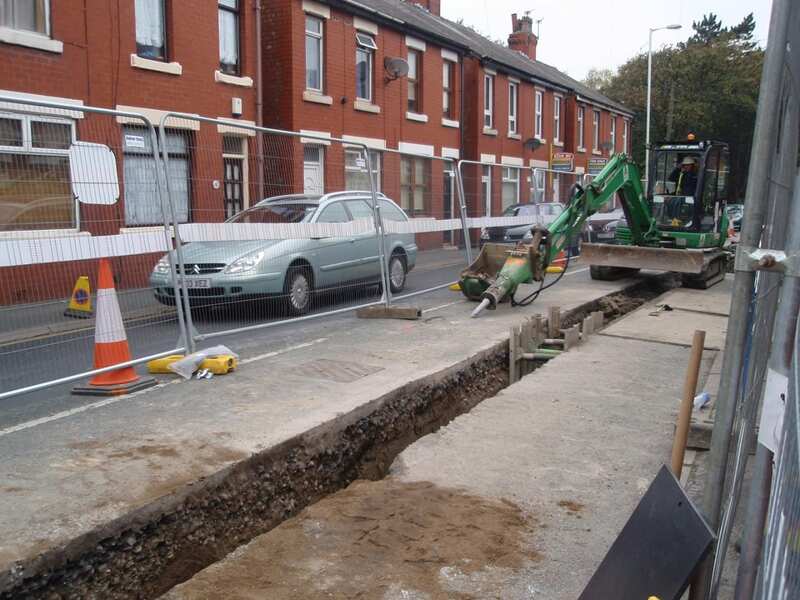 All the trenches were filled with a concrete layer for strength and stability, with tarmac over the top to match the existing road surface. 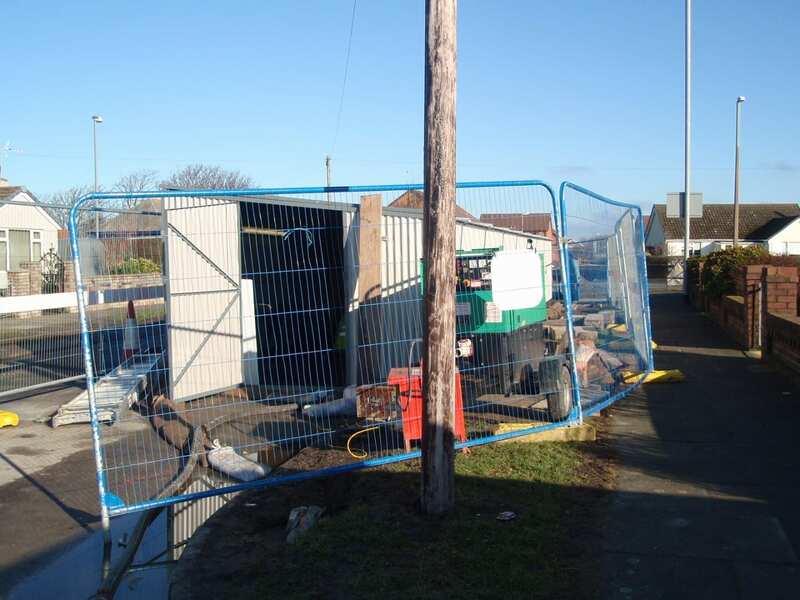 There were some big obstacles in the path of the cable – for example the tram tracks and the railway line at Hillylaid in Thornton, and the culverts at Trunnah Road. 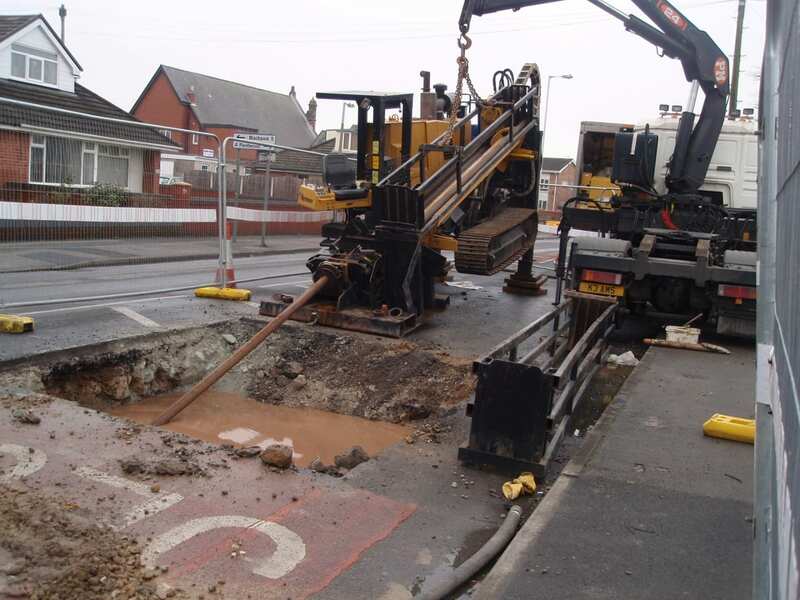 It wasn’t practical or possible to dig straight through some of them so the cable was tunnelled underneath, what’s called ‘Directional Drilling’ in the photo below. Unfortunately, you can’t make an omelette without cracking an egg…. but disruption was kept to an absolute minimum, and we kept you well informed!